Amongst the urbanized environment of the city and its surroundings is CBD Hebbal. CBD Hebbal is also home to newly discovered species of insects/amphibians. In a recent listing of Zoological Society of India (ZSI) on animal discoveries of 2014 appears Rhopus hebbalensis , a parasitic wasp, partly named after Hebbal. Out of the 14 new animal discoveries – predominantly insects – most were discovered in the surroundings of Nandi Hills and Bidadi. M Yeshwanth, insect taxonomist at GKVK, who has 5 discoveries from the state in the list says there is much more to discover in urban Bengaluru. 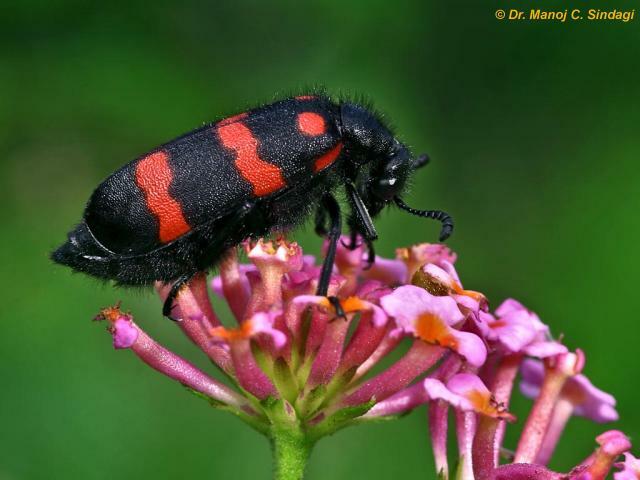 Blister Beetle, drives its name from the skin blistering consequences of it’s attack. Often found in and around Bannerghatta and other dense green regions in Bangalore. The city’s possession of ample green space is one of the main causes for such discoveries. The dense green space in and around Hebbal is listed to be the reason for these discoveries in the urban jungle. Bamboosiella Venkataramani and Stephano Indica are a couple of exotic insects discovered in this area. WOMEN’S DAY – Can Real Estate be a good investment option?